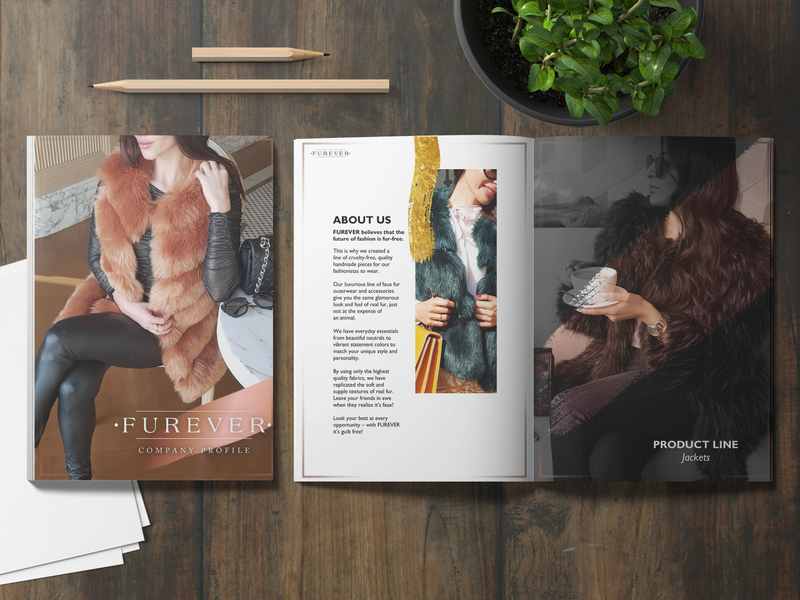 FUREVER believes that the future of fashion is fur-free. They provide the market with a line of cruelty-free, quality handmade pieces for fashionistas to wear. Our project was to create a lookbook for their current line and styles, intended for both print and digital use. The end result was a beautiful, brand-abiding 13 page lookbook, with elements that align with the brand.